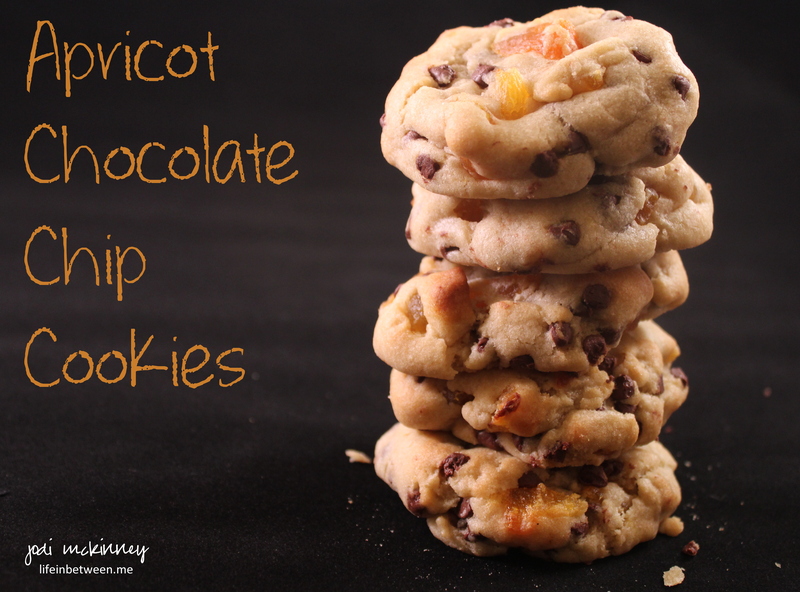 Apricot and semi-sweet or dark chocolate is such a yummy combination, so I thought I’d try it in a cookie – as a twist to my “almost famous” chocolate chips cookies. and it’s a winner according to my guys. 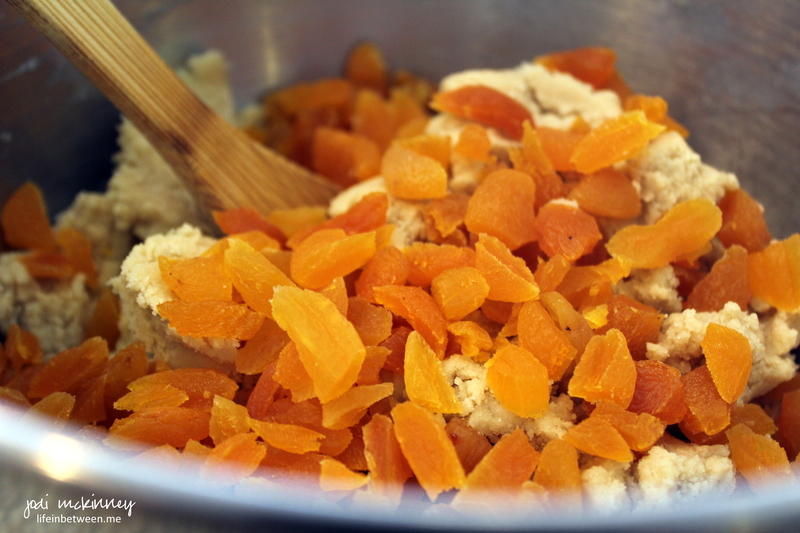 I snipped a half pound of dried apricots into the batter. 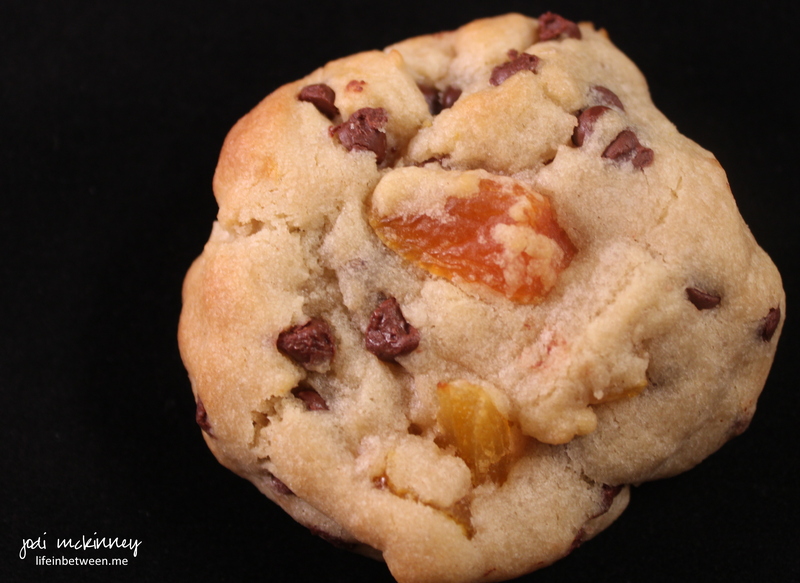 and tweaked up my original chocolate chip recipe by exchanging vanilla extract with half almond and half orange extract (though I think vanilla might be yummy too) and used 1/2 a bag of mini semi-sweet chocolate chips to allow the apricot to be the “star” of the cookie. The balance of flavors seemed just right. How about you? What’s happening in your part of the world this weekend? Blend softened butter with granulated and brown sugar with mixer until well incorporated. Add in almond and orange extract and eggs and mix on medium-high speed until creamy. Add in flour, baking soda, and salt on low speed until incorporated. 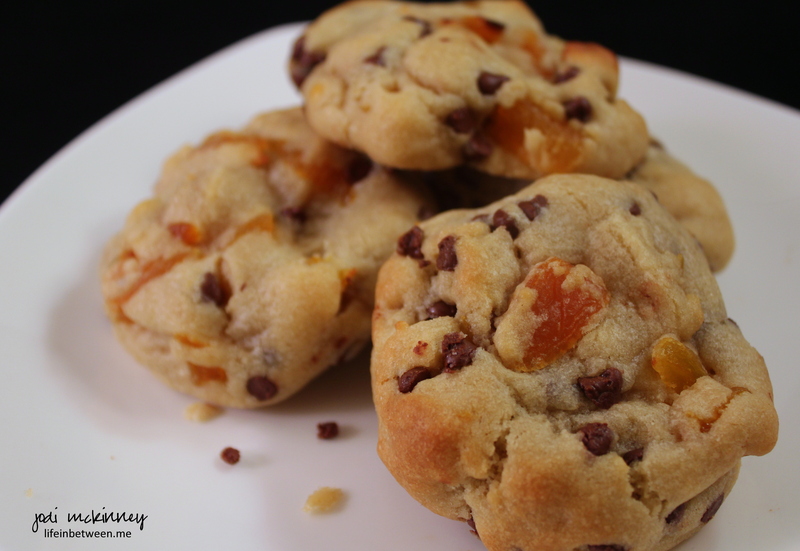 Fold in apricots and chocolate chips. Preheat oven to 375 degrees F. Roll dough into golf ball sized balls and flatten slightly. I think I will share this recipe with my friends over at Fiesta Friday for the Anniversary Party, because every party needs cookies – right?! 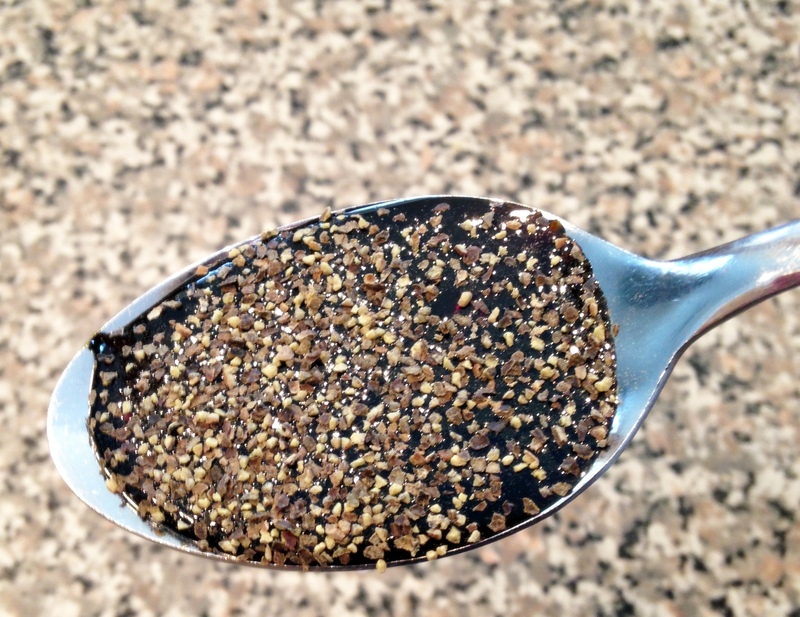 Check it out for lots of awesome recipes by some amazing foodie bloggers! 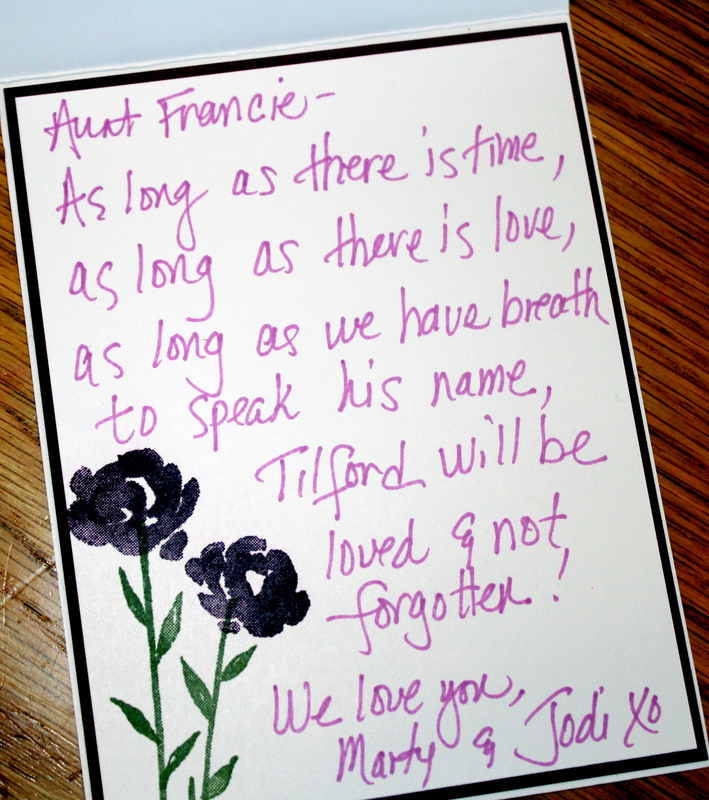 I made this card this week to send as a Sympathy Card to Aunt Francie as we said goodbye to her love, Tilford. And I must thank Jenny @ Ramblings from a Mum for the beautiful words she shared that I had to pass on as the sentiment for this card. Painted Petals Stamp Set, Blackberry Bliss & Mossy Meadow Ink, Itty Bitty Accents Epoxy Stickers, Spring Flowers Textured Impressions Embossing Folder, VersaMark Ink & White Embossing Powder, Artisan Embellishments (doily, ribbon, button accents) Watercolor Paper and Paint Brush for background watercolor effect and for splattering, Blackberry Bliss, Black, and Whisper White Card Stock. A dear friend shared this amazing piece with me yesterday, and I had to share it. It was in response to yesterday’s post, Untold Story. 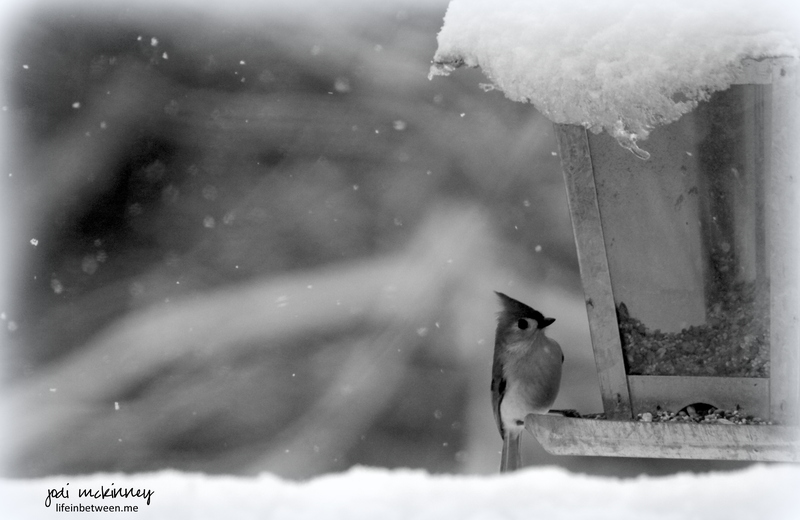 And this photo I took on a brief walk yesterday afternoon seemed to perfectly align with the message in the poem. 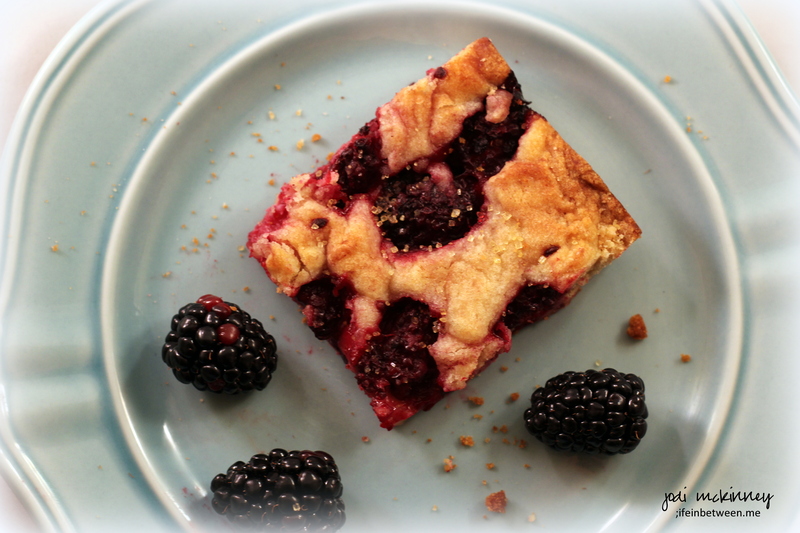 I had a big, juicy carton of fresh blackberries in the fridge I bought to eat with my morning cereal, but when I found this recipe for Blackberry Blondies from Nicole Weston at BakingBites.com, I knew this is what I wanted to make. Thanks for sharing Nicole! Blondies are basically the opposite of brownies in that they are the same idea of a bar-type cookie, but typically vanilla flavored instead of chocolate. 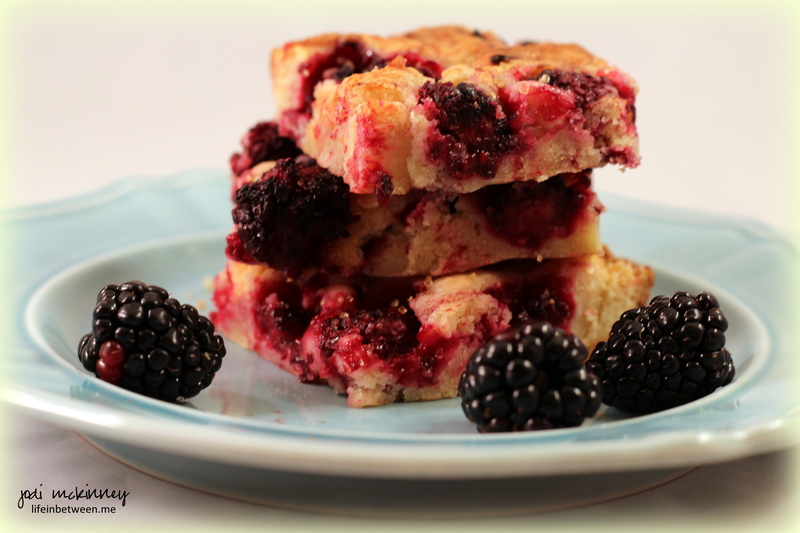 Blondies can be plain or they can be the base for many different additions – like these yummy blackberries. 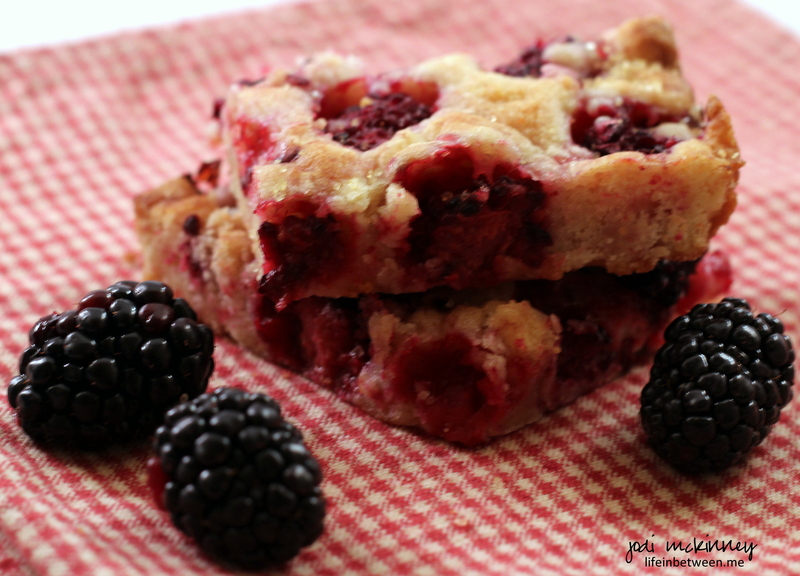 These remind me of blackberry cobbler in a cookie. How divine is that?!?! 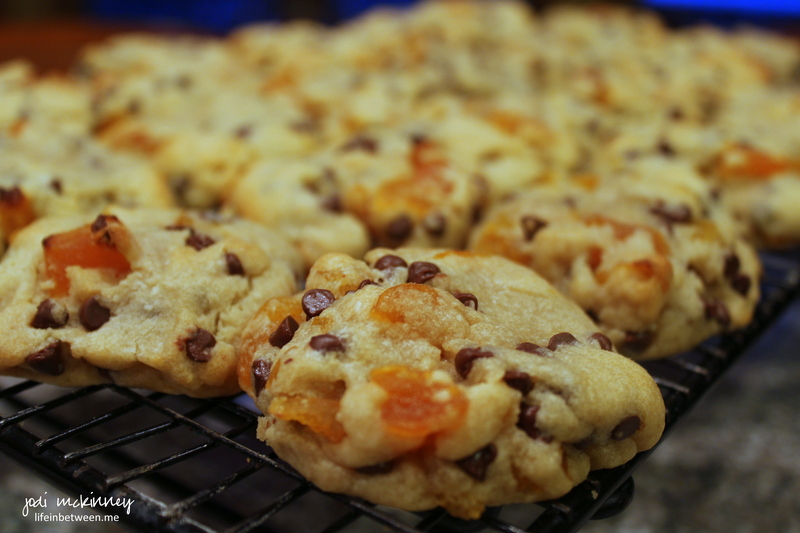 Here is the recipe from Nicole at Baking Bites with just a few small tweaks I made. I was out of vanilla extract (seriously don’t know how that happened! ), so I used all almond extract, and you know what? I don’t think I would change it. Hope you will try, and hope you enjoy. Let me know if you do. Line a square 8×8-inch baking pan with parchment paper and lightly grease. Whisk together butter and sugar in a large bowl until well combined. Beat in salt, egg, and almond extract until well combined. Stir in flour and mix just until fully incorporated. Transfer dough to prepared pan and spread carefully into an even layer. Bake for about 35-40 minutes, until bars are set and golden. and you are an end. and half full to another. but oft with dreaded suspension. that comes with your inception. Sometimes we blossom and bloom and exude radiant brilliance. Other times our thistles and thorns protect us and guard us and hide us. 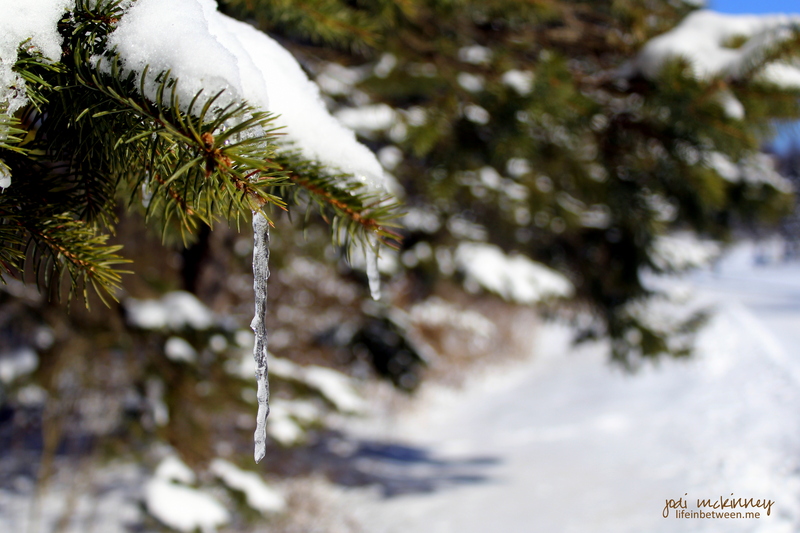 As I contemplated the subject, this photo I took a few months ago on a walk spoke to me. 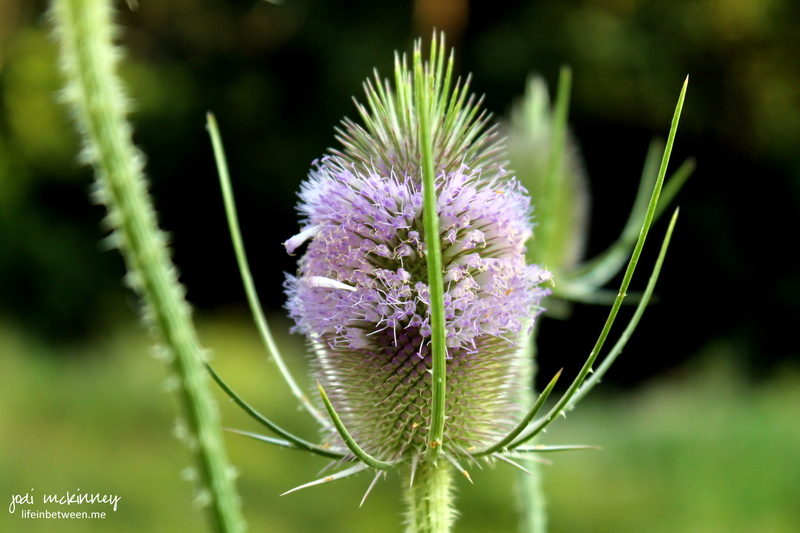 It inspired me to express myself – as this thistle – in all of its ages and stages does. there comes a balance between hanging on and letting go. My Marty’s 92-year old Aunt lost the second love of her life this week. Her near 93-year old fiance. Rest in Peace dear Tilford. Thanks for loving Aunt Francie. Thanks for bringing her such joy in the winter years of her life. You will be missed. You were a good man. Time to get HAPPY! Right? Enough whining about the cold! 🙂 I’ve made the turn and thank so many of you for your support and great tips. A while back I wrote my Top 25 List of Things that Make me Happy – and those are still tops and all still apply, but today in particular, let’s see…. What is making me happy today? Hearing a “ding” on my iPhone that means I’m getting a note from one of you! 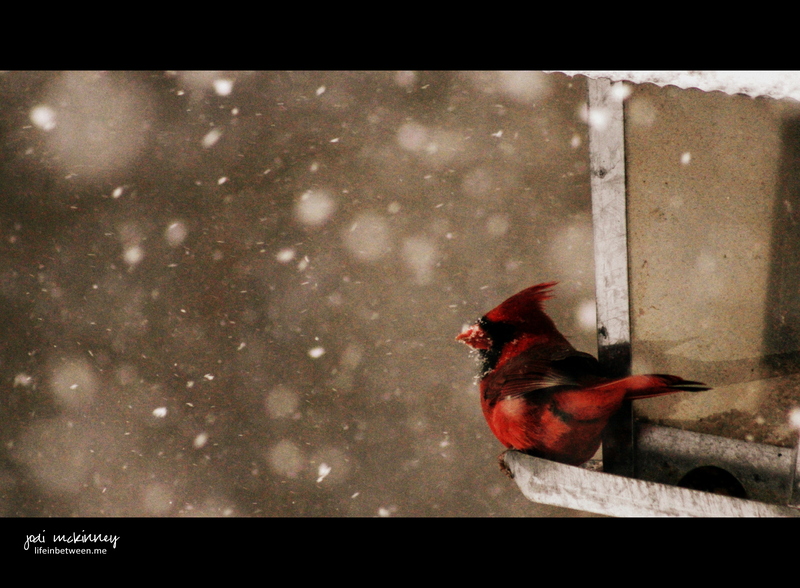 Movie night – will I get to pick – and will I stay awake? The gift of another day – to be happy – and maybe make a few others happy too! 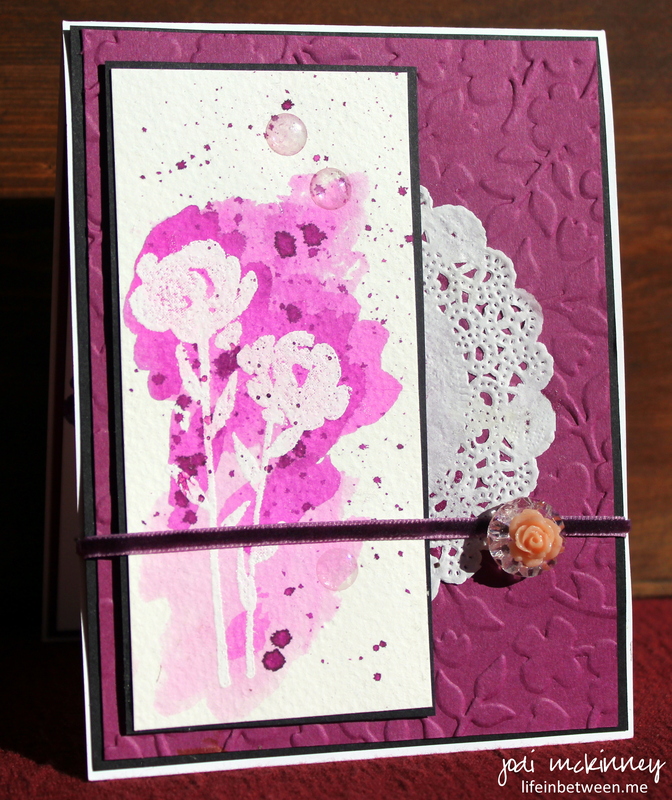 I really enjoyed making this card for The Paper Players Challenge this week PP#228 (and just in the nick of time!). While on the couch this week, I caught a great video tutorial for this watercolor technique by Kristen Werner. 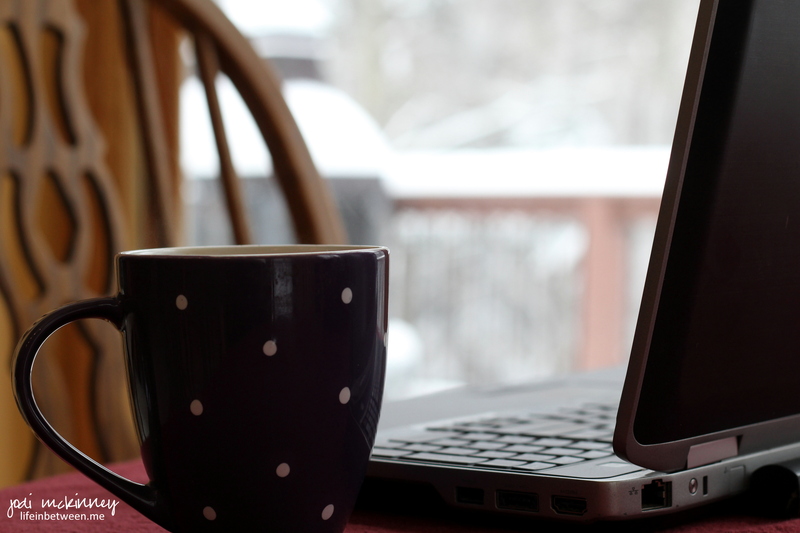 I love how clean and simple it is – a technique I strive to excel at that I often struggle with. 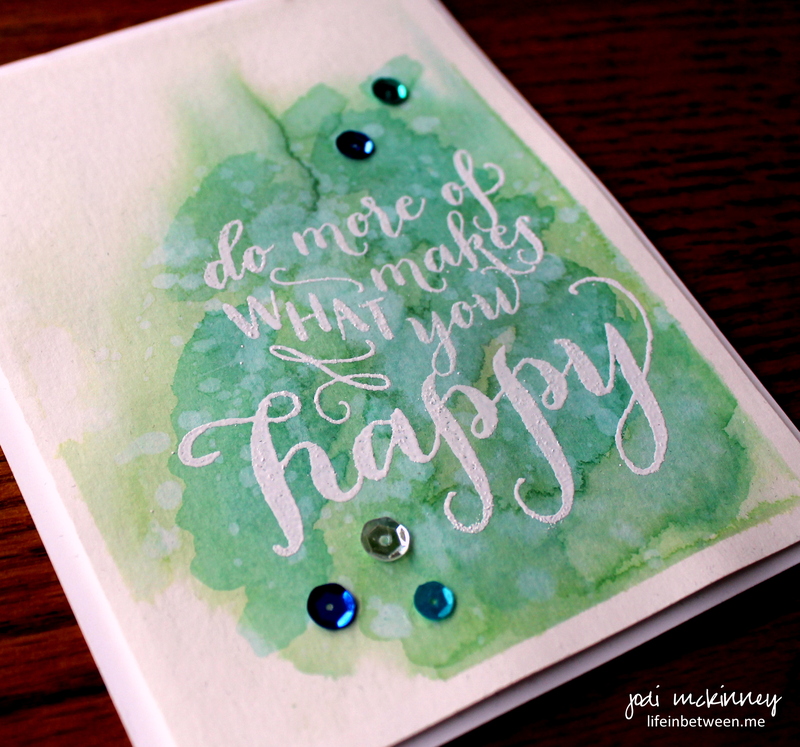 The challenge this week is to make a card where the sentiment is the focal point and to keep it clean and simple. 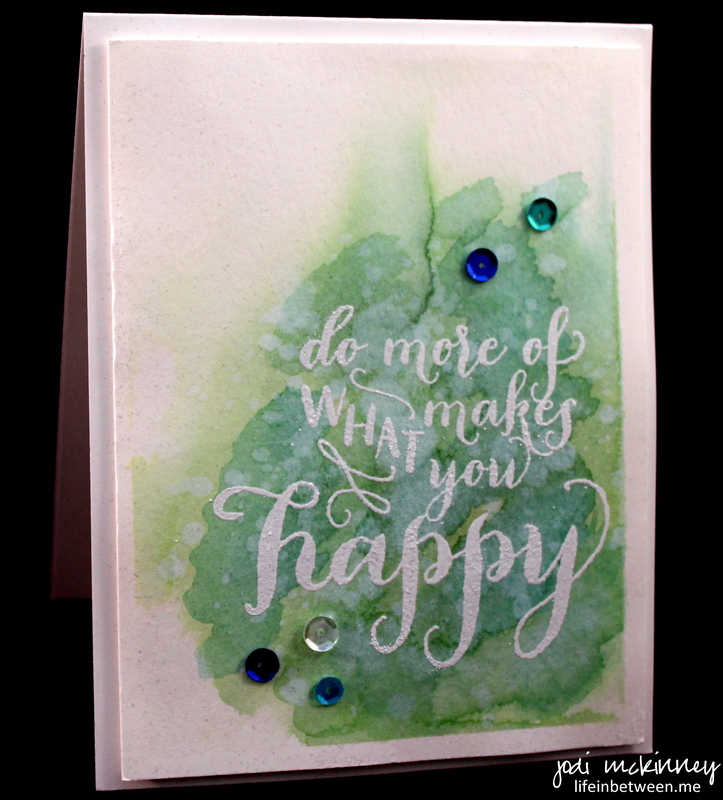 I used the Stampinup Happy Life Stamp set, watercolor paper, some Tim Holtz Distress Inks and assorted sequins for this card. I don’t get this down and out very often thank goodness, but I have been so grateful for all the well wishes and suggestions and advice on how to feel better. Since it is that time of year and many of you might be experiencing the same, I thought I’d share some of the advice I’ve received. See what you think of some of these tips, and let me know if you have others! I think there is at least one that might surprise you. 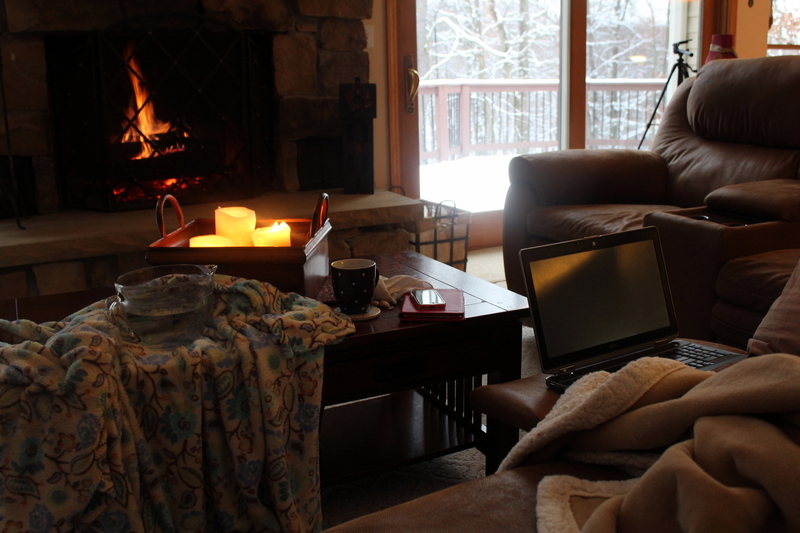 I don’t have a humidifier/vaporizer, but was told about a great way to create a steamer (note bowl of hot water and blanket on coffee table in photo). Yep – I’ve been boiling that bowl of water in the microwave and burying my face under that blanket to steam the congestion out of my head, ears, throat, nose. So happy Clementines are in season! Yep – This was something I was really told is a tried and true remedy… and I’m desperate enough to try it and suprisingly had a box of sugar-free lime jello in the cupboard (from God knows when!!) – so it is chilling and “setting” now. I’ll have to let you know on this one!